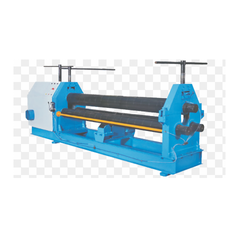 Offering you a complete choice of products which include 3 roll pyramid type sheet rolling machine and 3 roll pyramid type hydro-mechanical sheet rolling machine. The PBM series 3 Roll Pyramid Type Mechanical Plate bending are designed to cater the basic requirements of bending & forming of metal plates. In this machine, the bottom rolls are driven by electric motor & gear box. 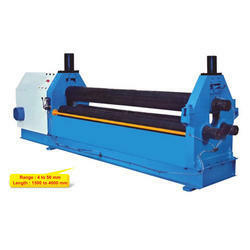 The upper roll is having manual up & down adjustment to achieve desired bending radius. This is a very simple & robust design machine suitable for light to medium jobs.